My goal is that Live Simply Natural be a resource to help you feel empowered when making food choices. I’m a big believer that eating a well-balanced diet is the best way to maintain good health. So I’m breaking down everything you need to know to unlocking the nutritional powerhouse of the most common whole food ingredients. 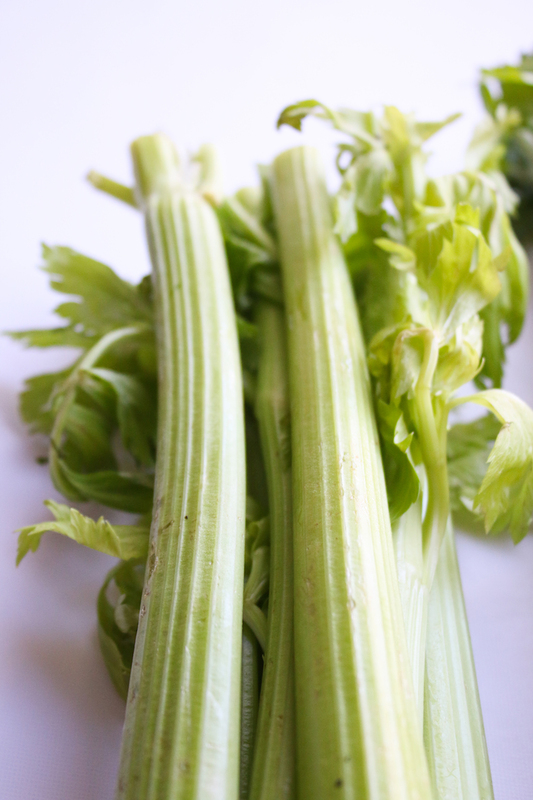 Today I’m sharing one of my fall and spring time favorites – CELERY! 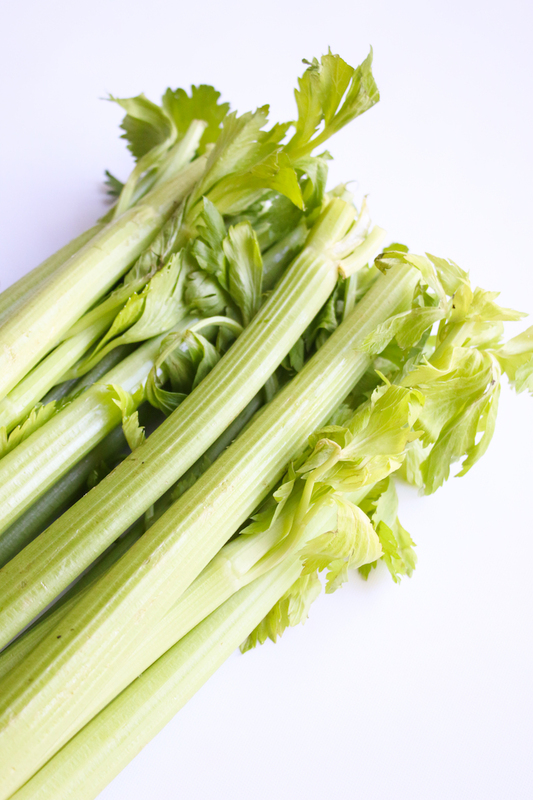 Celery is known for it’s crisp texture, mild salty flavor, and its distinctive subtle aroma. While you typically can find celery all year long now that it’s being harvested in California, traditionally it was an early fall crop. One of my favorite ways to use celery is to chop the stalks for an excellent snack, dipped in a zesty dip, peanut butter or homemade hummus. They also make a refreshing and crunchy addition to salads. Juiced, raw celery add a ton of health benefits. Cooking brings out the vegetable’s aromatic properties. There are many ways to use celery in the kitchen, and just as many reasons to make it a regular part of your recipe rotation. Celery is a rich source of antioxidants and phytonutrients. 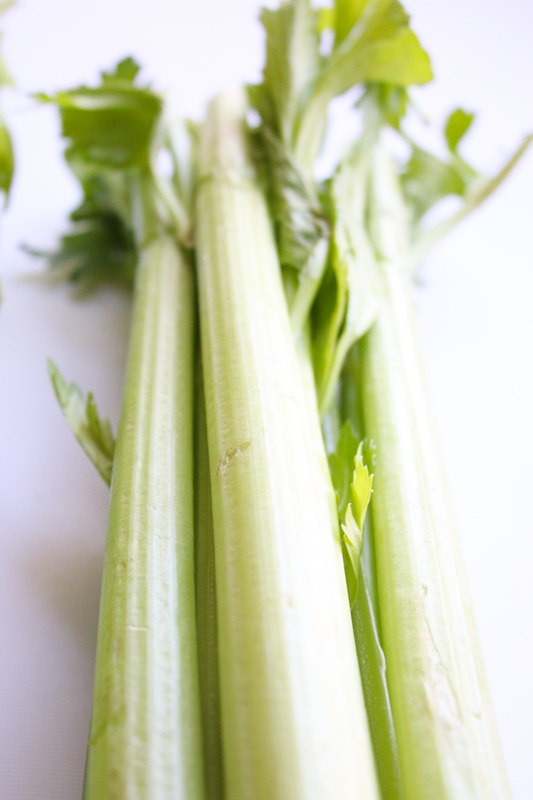 It is also a high source potassium, folate, and vitamins K, A and C. Despite being mainly water, celery also provides a fair amount of dietary fiber. Celery contains a flavonoid called luteolin; researchers believe that this particular flavonoid may posses anti-cancer properties. Other possible benefits include: lowering blood pressure, treating join pain, reducing inflammation, and soothing the nervous system. 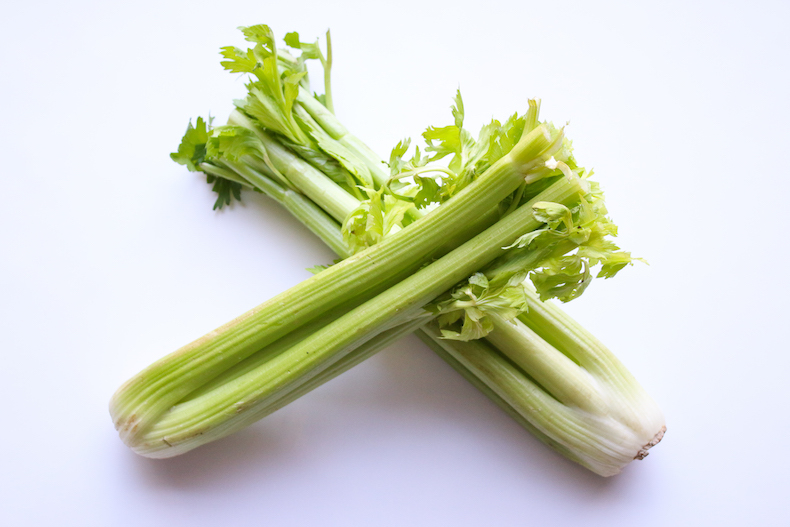 When shopping for celery you should always look for the same things: Select celery that is light green in color, firm, compact, and well-shaped. The stalk should have a solid, rigid feel and leaflets should be fresh or only slightly wilted. Also look for a glossy surface, stalks of light green or medium green, and mostly green leaflets. 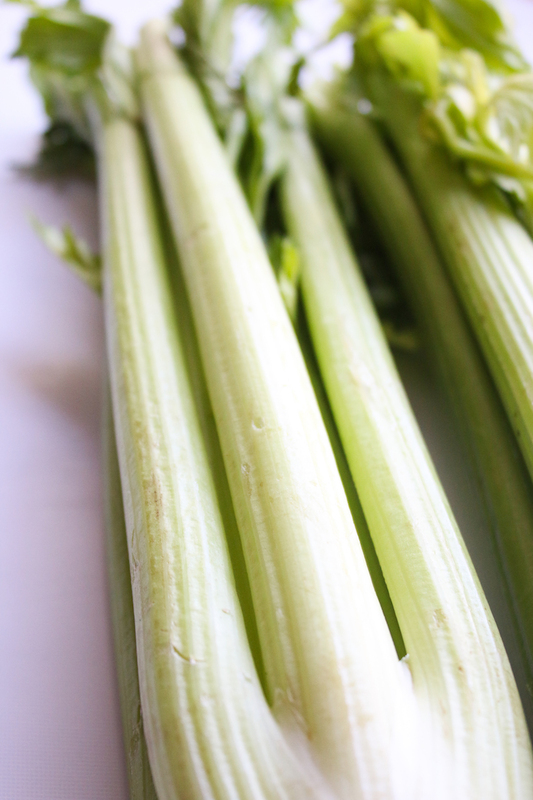 Avoid purchasing celery with bruises or discolored areas on the stalks. If you don’t have immediate plans for your celery, keep it in the refrigerate in an unsealed plastic bag. Typically celery will keep for 2 to 3 weeks. Leaves will keep for up to one week. Celery can be dried, canned, or frozen. You can also store the seeds as an herb. 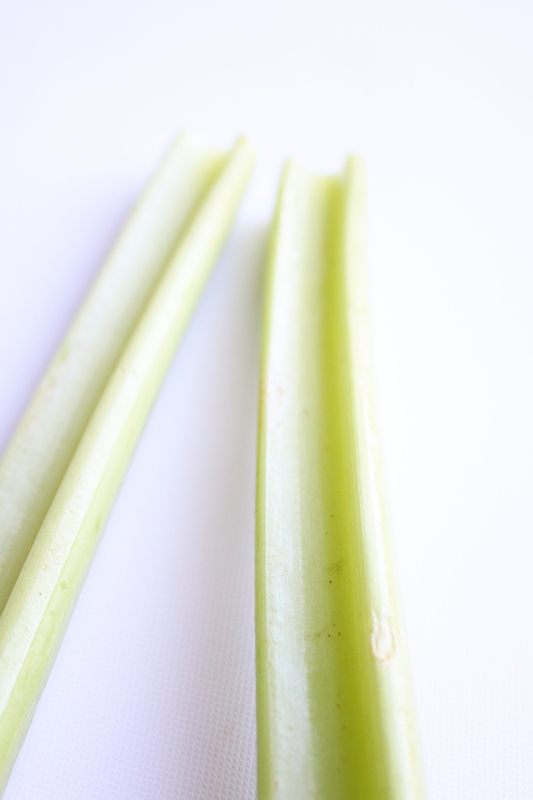 If the celery has gone a little limp, simply slice the stalks into sticks and place them in a glass of ice water and place the glass in the refrigerator for a few hours. 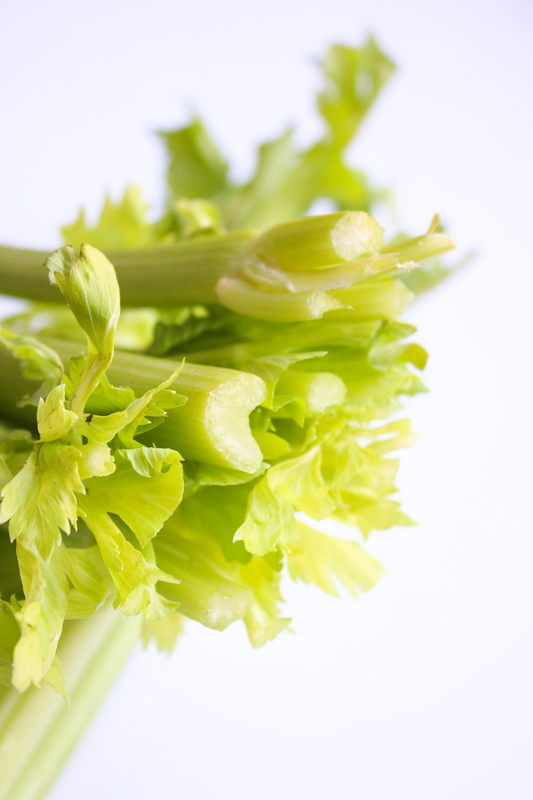 Wash your celery thoroughly in clear, cool water. Separate stalks from the bunch by gently prying them out from the bottom until they snap off. The tougher outer stalks are the best to cook with; the inner, more tender and are better for eating raw. Trim leaves and root end. The leafy tops can be used in salads and you can save the root end for stalk. Wash the individual stalks under cold running water to remove dirt. Large chunks of celery are primarily used for stocks and sauces. Grate or cut into thin sticks for serving raw. For fine dice, use the tip of your knife to slice the stalk lengthwise, keeping it attached at the leaf end. For medium dice, split once in half. For finer dice, split into quarters. Rotate the stalk and cut crosswire.